Mix eggs, cream and milk well with an electric mixer. Then add all the dry ingredients and honey and whisk again until a smooth batter. Let stand about 5 minutes. Bake the pancakes in coconut oil in a skillet over medium heat. 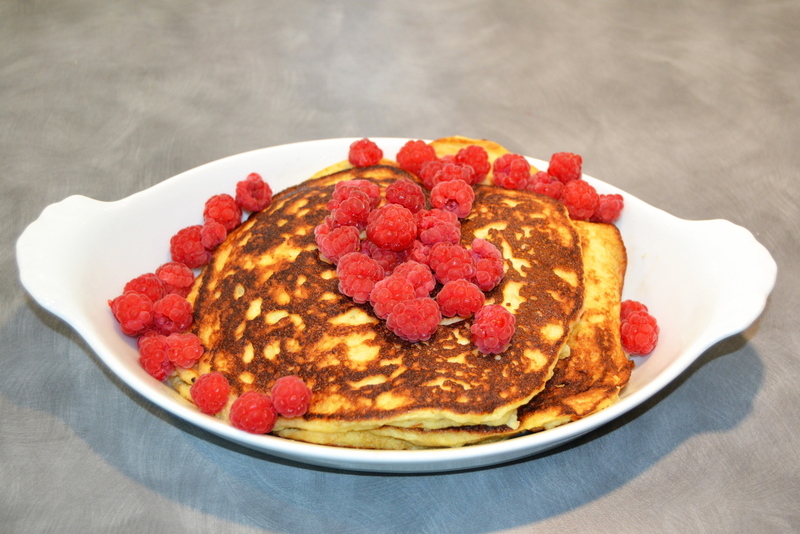 Enjoy your scrumptious American pancakes with fresh berries and maple syrup.